The book I recommend in this video is called “Where’d you go, Bernadette?” by Maria Semple. It is a hilarious novel about change in a woman’s life – perfect to practise vocabulary about change and lots of informal, slang expressions! This book is challenging – great for upper-intermediate to advanced level English learners! Download the audiobook here: http://www.audibletrial.com/mmmEnglish & listen to the pronunciation and natural expression as the story is read to you! Or grab the book here https://amzn.to/2sRIwun and curl up somewhere comfortable to read it! Hello I’m Emma from mmmEnglish! 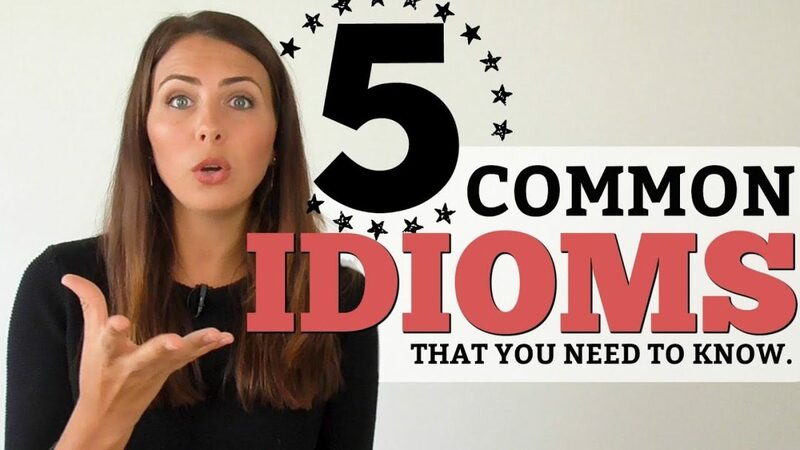 In this lesson, I’ll go over five common idioms that sound very similar, their meaning also very similar. They’re all about change. But the way that we use each of them in English is a little different. 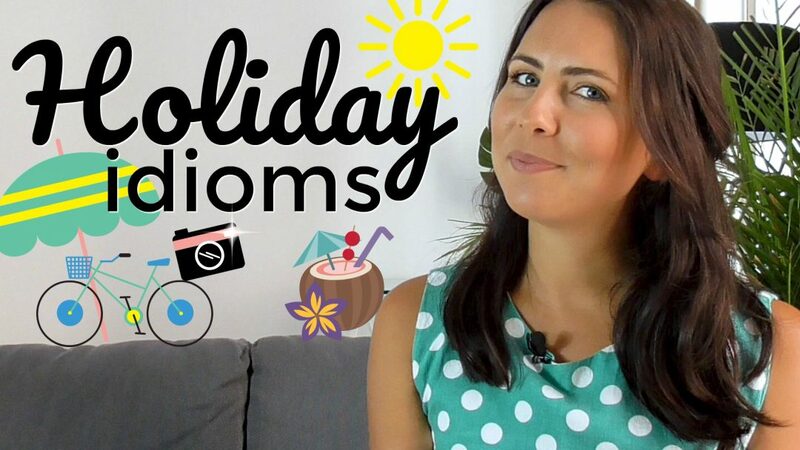 In some of my previous lessons like this one, I explained why idioms are important and what strategies you can use to learn them and remember them. Idioms can be a little tricky to learn but they’re fun to use and they definitely make English more interesting and more entertaining. This lesson is an advanced lesson, one that will teach you the subtle differences between some very similar idioms. It will help you to use them correctly and sound more natural like a native English speaker. Now my advice with learning idioms is always to think about a situation in your own life where the meaning of the idiom is relevant so you can associate the idiom with a memory or an experience that you have. It’s going to help you to remember the idiom but it will also mean you can use the idiom whenever you talk about that memory or that experience in English. Super cool, right? Okay so in this lesson we’re focusing on idioms with the word change. Now something my dear dad used to tell me is that change is the only constant in life. It’s the one thing that stays the same. Everything around us is changing. Our lives change, we change. So these idioms are super relevant and helpful so that you can express yourself. When we move to a new house or we start a new job, we meet new people, things change. As we grow older, we change. As certain things happen in our lives, we also change. Change isn’t always easy but being able to talk about it in English should be. So let’s start with ‘to change your mind’. Now it’s a common one, one that you’ve probably heard before. It’s used when you make a decision or you form an opinion that’s different to the one that you first had. I was going to travel to Europe in September but I’ve changed my mind, I’m going to go Asia instead. When I first met Paul, I thought he was odd but now that I’ve got to know him a little better, I’ve changed my mind! I think he was probably just shy when I first met him. Have you changed your mind about something recently? or maybe even your plans for the weekend. Perhaps you’ve changed your mind about somebody, you’ve changed your opinion about them. If you can think of something tell me about it, write a sentence in the comments so I can check it for you. Maybe you always wanted to study in America but now you’ve decided you want to study in Australia. Perhaps you’ve changed your mind. So that was ‘change your mind’. 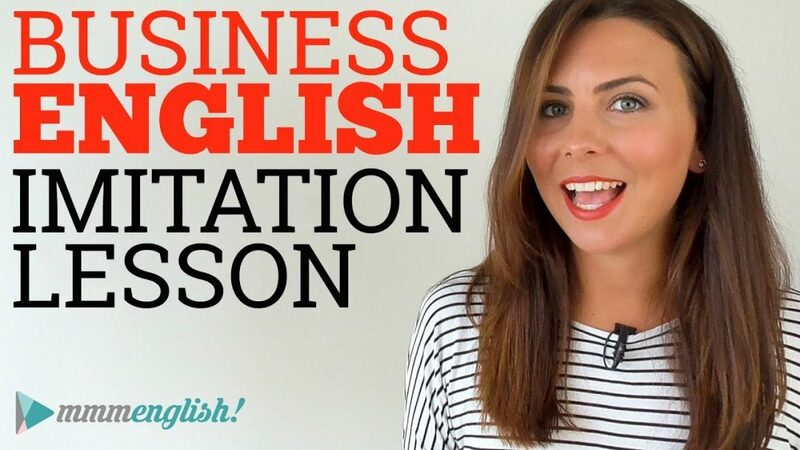 What about..
Now all of these idioms are similar but the way that we use them is slightly different, something that you need to understand and you need to pay attention to if you want to sound natural when you’re speaking English. ‘To change your tune’ is usually used when someone’s opinion changes or someone’s behaviour changes and usually it’s from a negative to a positive one. So imagine that you have a colleague who’s been complaining about your boss for months. They don’t get on well together, they disagree on most things and your colleague can be quite stubborn about it. But suddenly, your colleague comes into the office and starts saying that your boss is really nice and that he’s really great to work with. But last night he came home and he said he wanted to buy tickets to Tokyo and I thought “Hmm he’s really changed his tune.” He’s changed his tune. Now be careful that you don’t use this idiom in the same way as the previous ones. You can’t say “He changed his heart” or “I changed my heart” It doesn’t work, it’s not the same, it sounds a bit weird. It’s usually used with the verb ‘have’. She will probably have a change of heart. I still remember when I was eighteen years old and I moved out of my family home. I was moving into an apartment with some friends in the city and as I was saying goodbye to my parents, I started feeling really sad that I was leaving so my mum said “Well if you have a change of heart and you decide to move back home, you’ll always be welcome.” which made me feel a lot better about leaving. Now speaking of moving house, we have our next idiom, ‘a change of scene’ or ‘a change of scenery’. And this idiom is used when you move to different surroundings, you know, a different environment. It could be used to talk about where you live or where you work. Tim was tired of working at his father’s company. He wanted a change of scene so he applied for a job in Sydney. I’m so tired of this little, tiny town. I’ve been living here for twelve years. I need a change of scenery! I’m going to move to New York. A change of pace is used in a similar way. It talks about a change from your normal, daily routine so you can use it to say that you need to try something different for a while. A change from what you’re used to. If you’re not feeling very inspired by English these days or very motivated to practise, perhaps you need a change of pace. You could travel to another country where you have to use your English and practise more. So there you have it! Five useful idioms all about change, ones that all have very similar meanings but are used slightly differently. You can be confident using any of them with a native English speakers from all English-speaking countries. They’re really useful ones to learn because they’re so common. The best way to understand the difference between them is to practise using them. So get down in the comments and write a few sentences using these idioms for me. I’ll let you know if you need to change them or rewrite them in any way. Don’t be shy. 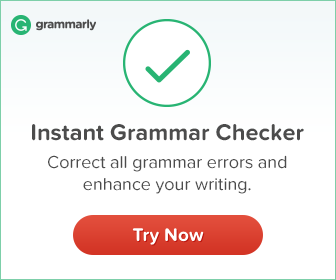 If you change your mind about your sentence, you can always edit your comment later. If you enjoyed learning new ways to talk about change in this lesson, I want to recommend a book for you ‘Where’d you go Bernadette?’ Its a funny entertaining book about a mother who goes missing before a family trip to Antarctica and it offers countless opportunities to use the idioms that you learned in this lesson and to think about change generally throughout our lives.There’s a link to the book and the audiobook in the description below. You know I recommend audible to all of my students as a way to learn new vocabulary and the correct pronunciation, the natural pronunciation of English words in context. 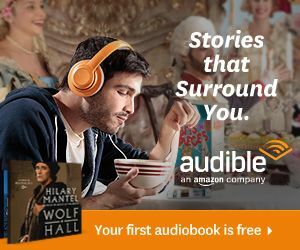 Now if you’re new to Audible, you can actually get this audiobook for free using the link in the description below. Enjoy! Hey have you subscribed to my channel yet? Make sure you do! Show your love for mmmEnglish and click that red button down there. And of course you can keep practising your English with me, here are a couple of other great lessons that I recommend. I’ll be back here next week with another lesson just for you. Bye for now! Hi Emma, even though I am now a member in the Ladies’project, I continue to watch your weekly lesson on mmmEnglish page because every lesson you teach ( inside The Ladies’project or outside) brings me knowledge, deepens it or refreshes my memory. Thank you for all you offer us. Here are my sentences with “change”. It’s true that she got older: her face and her hair have CHANGED but, she doesn’t need a CHANGE OF PACE in her life. She still feels quite young to study and to practice a lot of activities. However, she is tired of the place where she has been living for such a long time. She needs a CHANGE OF SCENERY. First, she liked where she lives but she CHANGED HER MIND several years ago when a huge earthquake happened in her region. Some people told her that she was probably going to CHANGE HER TUNE about that issue and forget her strong fear little by little. But, She never had a CHANGE OF HEART so far. Hi Dear Emma! I just finished reading your comment.Yes, you know me. I am one of your lucky students in the Ladies’project. Thank you very much for correcting my errors and explaining them. I am going to try to stick the rules you mentioned me in my mind.